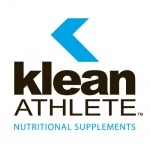 Like the rest of the Klean Athlete line of products, KLEAN-D recently underwent a meticulous testing and verification process to receive the esteemed NSF Certified for Sport certification, which ensures that it is free of banned substances. Recognized by major sports organizations including the NFL, MLB, NHL and PGA, the NSF Certified for Sport program was developed in response to the concerns of athletes, coaches, team owners and others about finding banned substances in sports nutrition products. Powered by Douglas Laboratories, KLEAN-D joins the existing seven Klean Athlete supplements including: Klean Multivitamin, Klean Antioxidants, Klean Cognitive, Klean Probiotic, Klean Isolate, Klean Electrolytes, and Klean Endurance.